The Mental Welfare Commission (MWC) was notified of 5,422 new episodes of the care orders being used in 2016-2017. This was a rise of 8.2% on the previous period, the commission said. The MWC said it was concerned by the upward trend, especially in the numbers of emergency orders which can be issued by doctors but should normally be approved by a mental health officer. The latest report found that this happened in just over a half of cases. Dr Morrison said the commission did not know the causes of the rising figures, but added they could indicate a “general increased pressure on mental health services”. In 2001-2002 there were 4,849 instances of compulsory treatment orders being used through old legislation. The commission’s latest Mental Health Act Monitoring Report said the total had risen steadily and the number of orders was now its highest since new legislation was introduced in 2003. There are three routes to compulsory treatment. The sharpest rise of these was through emergency detention certificates – used 2,414 times in 2016-2017 and up by 12% on the previous year. Emergency orders are designed for “crisis” situations when a person who needs urgent care or treatment for mental ill health. How are compulsory treatment orders issued? Under the Scotland’s Mental Health (Care and Treatment) Act, which came into effect in 2005, there are are three forms of certification for compulsory treatment. They are the emergency detention certificate (EDC), the short term detention certificate (STDC) and the compulsory treatment order (CTO). 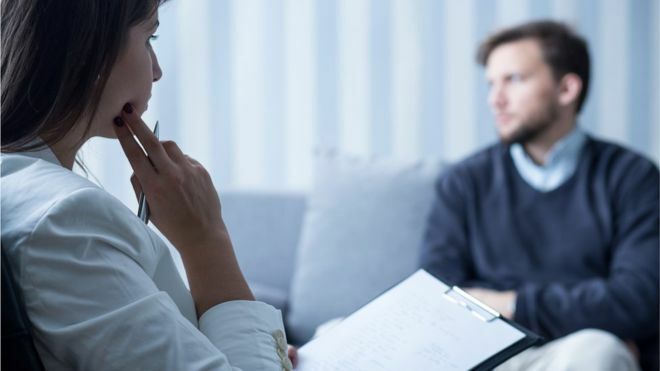 An EDC can be issued by any doctor, though the guidelines state the doctor “must consult a mental health officer and get his/her agreement, unless it is not possible for this consultation to take place”. The patient must be transferred to hospital within 72 hours of the certificate being issued and can be kept in hospital for a further 72 hours. The guidelines state that the purpose of an EDC is to allow a patient to be assessed for whether they need medical treatment for a mental disorder. An STDC can only be granted by a doctor who has experience diagnosing and treating mental disorders. The patient must be transferred to hospital within 72 hours of the certificate being issued and can be kept in hospital for a further 28 days. The purpose of the certificate is to allow patients to be assessed and/or treated in hospital. A CTO is applied for when doctors believe a patient needs longer term care for a mental disorder. Over the last 10 years the use of these certificates increased by 26%, with the most marked rises in Dumfries and Galloway and Greater Glasgow and Clyde Health Board. The report also showed a continued reduction in the number of times a mental health officer approved an emergency detention order. Mental health officers are specialist social workers and “should always” be involved in approving emergency detention certificates, said the commission. In 2016-2017, the report found just 54% of these certificates had the consent of a mental health officer. The commission said the preferred route to compulsory treatment is through short-term detention orders, which “should only take place if recommended by a psychiatrist and a mental health officer”. These certificates were used 2,905 times in 2016-2017 – an increase of 5% on the previous year. Another method which can be used is through a compulsory treatment order, which increased by 22.9% – from 979 to 1,203 – over the 10-year period. Dr Morrison said the commission hoped to work with the Scottish government and health health authorities to get a better understanding of why the figures were increasing. The minister for mental health, Maureen Watt said the law offered protection to patients where compulsory treatment was necessary while safeguarding their rights. She added: “Any increase in compulsory treatments may represent the effects of more people coming forward for treatment and increased awareness and response to mental ill health. “It’s also important to note that the largest proportion of people subject to compulsion are for short term orders rather than long term orders.